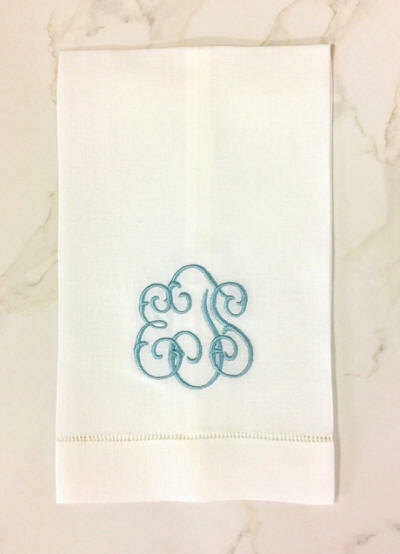 Monogrammed Hemstitch Linen Guest Towel with traditional interlocking scripted letters . Select one color for all letters, or accent with a second color for the side letters. Guest towel pairs & sets arrive in our Signature Gift Box with ribbon.